I had some serious acne problems pretty much from my 12th birthday. The second my hormones hit, my skin rebelled against me and I’ve learnt a lot about skincare trying to bring it back in line ever since. Throughout my teenage years, I had cystic acne which took over my face, chest and upper back. Through medication and age, my acne seemed to retreat slightly and now I’m in my twenties it affects my jaw, chin and neck and is mainly triggered by hormones and stress. As this is an ongoing battle, I’ve brought together a few of the things that I have found most helpful for me. This isn’t a suggestion for an ultimate skincare guide (despite the grand title), but it’s what has worked for my skin over the years. First of all, acne is a skin complaint which primarily needs medical treatment once it reaches a particular level of severity, so if you are worried about your skin, see your GP. I took antibiotics and used Duac gel for most of my teenage years. It did control the severity of my surface acne, but wasn’t dealing with the root of the problem which was my cystic acne. When I hit my twenties, I was prescribed Roaccutane, which I took with a lot of caution. This drug gets a lot of bad press, but it did work miraculously well for me. This got rid of a lot of the deep scar causing acne and (almost) gave me the skin of a normal person. I did lots of research before taking Roaccutane and made sure that I had exhausted all other, less severe options. I was prescribed it for nine months and that was a fairly uncomfortable time (permanently chapped lips, nose bleeds and dry bloodshot eyes) which left me looking like a vampire. I was regularly monitored over those nine months until this medication stopped my serious acne. I know that not everyone is so lucky with this drug and it can have a serious impact on your physical and mental health, so it’s important to know your stuff and I wanted to make an informed decision before I took it. Elemis Tri-enzyme resurfacing facial wash is a recent discovery. I had an Elemis facial on my birthday and half way through the beautician paused to ask me to feel how smooth my skin was. She’d just used this facial wash and my skin was genuinely so much smoother. I ordered it online (find a good deal because this is not a budget face wash) and now use it every morning. This face wash has not only helped to fight spots, but makes my healthy skin look smoother and nicer. My skin had a strange reaction to it at first by becoming red and very oily for about a week, but after that it settled back to normal. Elemis say that this product uses non abrasive exfoliators to clear dead skin cells and Brazilian Babussu oil to add moisture back in, as well as to soothe and protect your skin and I’m a big fan. My Clarisonic Mia and I have been together for about a year. Lots of YouTube reviews said that this will break you out badly in the first month and that it’s important to power through that phase. This face brush makes me feel like I really get my makeup off every night. It claims to tighten your pores, minimise fine lines and to remove your make up far more effectively than manual cleansing. 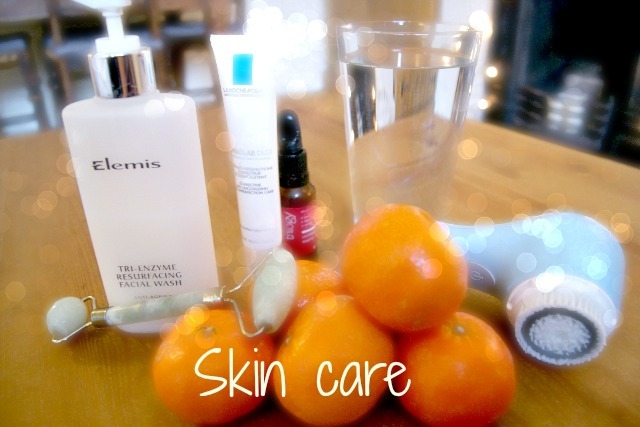 I use it every evening to make sure my skin is really clean and ready for my moisturiser. Most acne guides will tell you not to wear make up, as it can block your pores, which can be true for many products. But, in reality, the thought of going out without make up with my skin at its worst was too much for me. There was no way that I would go out bare faced, so the next best thing is making sure I take my make up off properly to let my skin heal properly at night. That has stuck with me and helps me make sure I do it properly. That said, if you have a day where you can go make up free – do it! If your skin is having a good day or you feel comfortable going without make up, then let your skin be free. I try to do this at least one day per week. Effaclar Duo. There was lots of hype about Effaclar Duo and a time when I couldn’t move on YouTube for my favourite YouTubers popping up in an advert for it. But, it really is good stuff. It’s remarkably gentle for something which helps to clear my skin so well. As it is quite gentle on your skin, it won’t work overnight, but a week’s continuous use will generally do the trick for some minor breakouts. It works by targeting bacteria to get rid of the actual spots and clears pores of sebum and dead skin cells to clear blockages. This works well for me as a moisturiser too and stops my skin getting too greasy. As much as those oily skin hating voices are screaming at you to avoid moisturising, it’s true that this is a really important step after cleansing skin. If I don’t moisturise, my skin would get really mad at me and kick out oil like there is no tomorrow. PanOxyl (2.5% Benzoyl Peroxide gel). I used to use this on my face (I sometimes do in an emergency), but now my back is the only place that can handle this gel on a regular basis. It works by encouraging your skin to peel which helps your skin to increase cell production and clears out pores. I found this did reduce lumps and bumps in my skin and makes you feel as if your pores were clearer, but there are big downsides to this product. I was originally prescribed 10% by my GP back in the days when I thought the stronger the better. That definitely helped my breakouts but it also felt as if the top layer of your skin has gone missing. Swapping one skin problem for another isn’t my idea of a solution so after some research online, lots of people recommended 5% or 2.5% as being just as effective but far less harsh. The other uses of Benzoyl Peroxide are for bleaching flour, hair and teeth so it’s never going to be your skins best friend, when I downgraded the strength it was effective. Jade roller. I’ve written about this before and I can’t guarantee how much it actually helps to clear my skin, but it’s reported to have all the benefits of facial massage for bringing blood to the surface of the skin and draining away lymphatic fluid, which can be linked to hormonal acne. The first part of scar care needs to be about scar prevention. As boring as this is, I know that not picking at my skin or touching it unnecessarily will help to heal those spots and leave my skin looking far better than if I go hell for leather on that rude little face intruder. I try my best to take the high road and leave my skin alone. I try and sometimes fail. 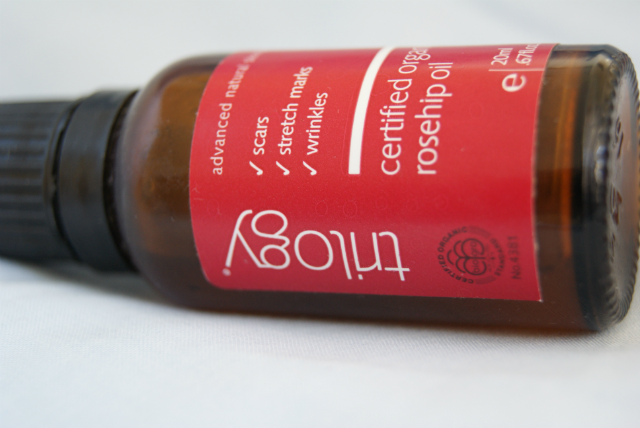 Rosehip Oil. I’ve blogged about this before, but I love this little bottle of wonder. It hydrates my skin and seems to protect it nicely on the rare occasions nowadays where I need to wheel out more intensive products. I’m not sure how it does it, but it’s the best product I’ve tried for stopping redness in my skin and particularly in my scars. I’ve spent so long battling acne, that I now need to turn my attention to scar care and anti-ageing which this oil is famed for and it’s full of omega 3, 6 and 9 fatty acids to help plump up and moisturise your skin. This bit is nothing revolutionary and you’ve probably heard it a thousand times before, but I can tell a huge difference in my skin if I drink too much wine, eat too much tasty (read: bad) food and don’t drink enough water. 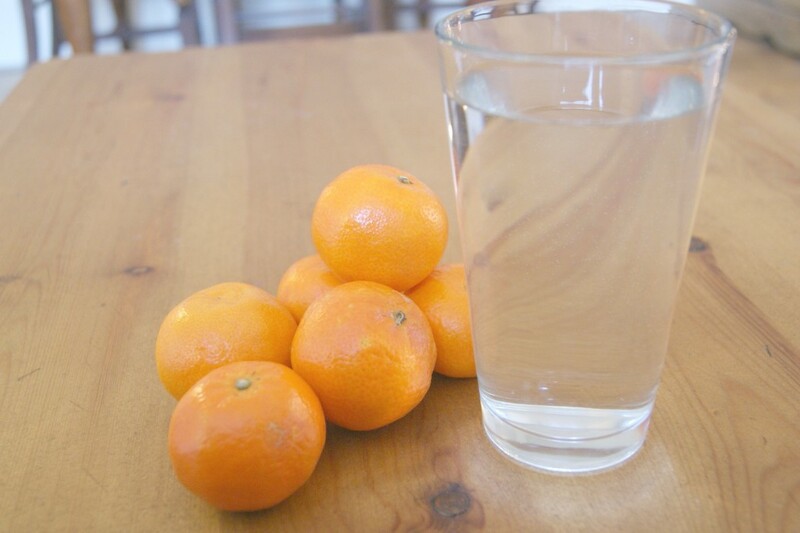 As boring as it is, it’s true that if you drink more water, your skin will improve in one way or another. It’s never going to cure serious acne, but skin can get a lot of help from lots of little changes resulting in lots of little improvements. Drinking less alcohol and drinking more water is one of those little changes. Eating plenty of fruit and veg instead of pizza and chips (sob!) is also going to boost your skin. In particular, orange veg like sweet potatoes, pumpkin and carrots are all packed with beta-carotene which boosts your skins regeneration and helps it to heal itself. Antioxidants are hailed as your key weapon in the fight against those nasty ageing free radicals and plenty of them can be found in foods like kale, spinach, papaya, blackcurrants, blueberries, kiwi and strawberries. Brazil nuts are packed with selenium and help to protect your skin against sun damage and age spots. Other good places to get it from are tomatoes, broccoli and eggs. Vitamin E is equally good for helping your skin heal, which is a big thing for me if I’m mid breakout. Anything that helps my skin to heal without scarring is worth a lot to me. Almonds, hazelnuts and avocado are all packed with this. These foods are also full of good fats which are also found in fish and olive oils which act as an anti inflammatory, particularly useful when your skin needs it most. Make up doesn’t get the biggest mention in this post, as I’ve concentrated on what helps my skin improve, but it is still important in giving me confidence. Bare Escentuals foundation. Oh my days, I love this stuff. I originally bought it when I was going skiing and thought it would be a good foundation to stay put when I plunged face first into the slope. It did pretty well at that and is so quick and easy to put on that it became a firm favourite. I’ve heard people grumble about the whole ‘swirl, tap, buff’ palaver but I find it much quicker to do that and buff it into my skin for really quick, lightweight coverage which evens out my skin nicely. It also makes the best concealer I know for spots. Use their concealer brush to apply and this will give you the best, bendable concealer for acne. Benefit bluff dust. This is an old favourite when my skin is glowing bright red and I need some help to face the outside world. Thankfully those days happen very rarely now, but when they do this yellow powder is useful in counteracting redness wherever I need it. Primer. Primer is crucial most of the time, but particularly when my skin is having a moment. It helps to control oil throughout the day (which can be a losing battle for me), but also helps my foundation and concealer to stay put. My favourite primer is Benefit Porefessional. I try not to add more makeup throughout the day as I want to keep make up as light as possible but despite my best efforts, roundabout lunchtime my skin will have inevitably become oiler. When that happens, I split a tissue into it separate layer and take one of those layers to blot my skin with. Easily available, does no harm to your skin and cheap too.